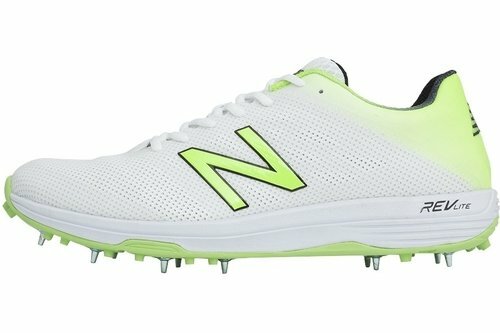 The CK10 L3 cricket spike from New Balance has been developed to be the ultimate lightweight and low profile batting and fielding shoe. Synthetic TPU mesh upper for minimal weight and maximum comfort and breathability. A 4mm heel to toe drop brings the player closer to the ground allowing for improved balance and reaction. FANTOMFIT upper for comfort and support. REVLITE midsole for shock absorption and cushioning.